Dame Diana Rigg - Game of Thrones BTS Foto. 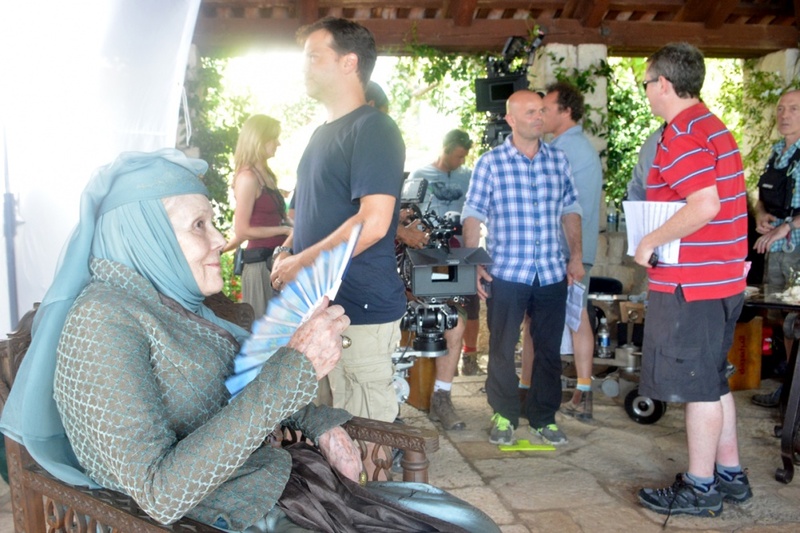 August 2013 - BTS (behind the scenes) 'Game of Thrones' Foto of Diana Rigg and crew coping with the heat in Dobrovnik, Croatia. HD Wallpaper and background images in the Diana Rigg club tagged: diana rigg british actress lady olenna tyrell game of thrones hbo tv series dobrovnik croatia 2013 behind the scenes photo dulist.com. This Diana Rigg photo contains straße, stadtszene, städtische einstellung, stadt szene, städtische umgebung, szene mit straße, stadt, and städtischen einstellung. There might also be zeichen, plakat, text, tafel, schilder, poster, markise, sonnenschirm, jalousie, sonnenschutz, and veranda.